clear span single slope metal buildings. The single slope lean-to building design is a clear span building with a single slop that slopes in one direction down to the shorter sidewall and is connected to an existing or pre-planned building. It provides a sectioned off space that is less costly than extending the entire building. It also provides an economical way to expand your existing steel building. 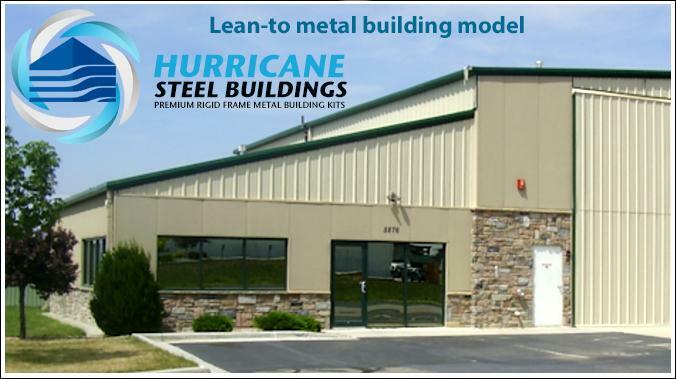 Hurricane Steel Buildings® single slope lean-to metal buildings kits are clear span steel building kits that offer a custom sloped roofline with no interior beams. You can customize the exterior with brick and mortar as you see here in the photo of one of Hurricane Steel Buildings®’ turnkey construction projects. The lean-to has 100% clear span usable space in the interior. With the roof peak positioned to one side it allows you to customize your the face of your building to create a unique exterior front. The lean-to single slope metal building price is less than building a multi span building or additional gable structure as it requires less steel to construct without loss of structural stability and eliminates needed space. It also costs less to erect this building with less manpower and labor costs. This lean-to metal building is a true clear span building that features a single sloped roof that comes in a wide variety of pitches depending on the height of the adjoining building. The interior has no posts or columns offering a true clear span interior unobstructed by support beams. Often this building is used for offices, horse barns, warehouses, retail outlets and work sheds. Another advantage to purchasing a single slop lean-to metal building is you can position the building where the back end is facing the area you have good runoff. Each building can be fitted with insulated cladding or panels, slide windows, overhead doors and walk through doors and ventilation options. Hurricane Steel Buildings® custom manufactures every clear span building according to AISC load requirements so that your building is strong and bears heavy loads and sustains sever wind speeds. Certification: Exceeds or meets MBNA and AISC-quality certification guidelines. 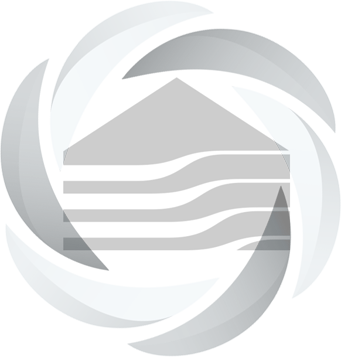 Your building is made with AZ Galvalume® Steel, an alloy containing aluminum and zinc which was developed by the industry to provide the best durability and sustainability which is 700% more rust resistant than galvanized steel. Custom build your lean-to metal building using our online metal building price calculator and get instant prices according to your specifications. You can call us toll free at 833-834-8400 to further customize your clear span building with various features and accessories and ask about our clearance sale prices and metal buildings on sale.